Our aim is to offer a selection of treks suitable for all ages and abilities, subject to restrictions. Tuition is offered on rides. 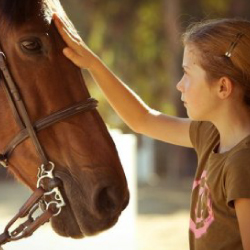 Lessons avaialable on request. 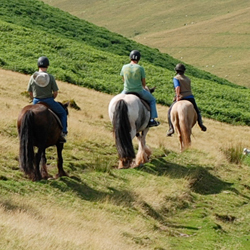 Our 1 hour Trek offers a great way to view the beautiful Northumberland countryside suitible for either the novice or the more expereicen rider. Walk and Trot only. 2.5 hours hack down to Goswick Beach. Enjoy Views of Lindisfarne, Berwick upon Tweed and the Cheviot Hills. 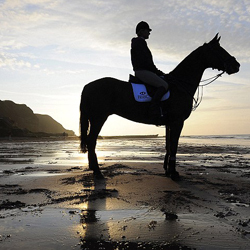 Paddle in the sea or canter along the sands, a great experience for all. Please contact the centre to find out what dates are available. 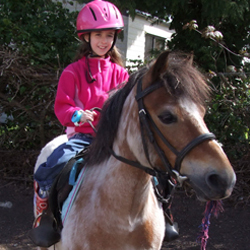 This is a short ride for under 3 year olds from the bottom of the stables, up to where they will get a photograph taken and a walk back down. 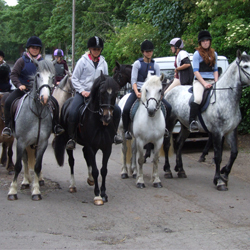 The photograph is included within the ride.